Sometimes it takes an American to explain the charms of Europe to Europeans! Growing up in a part of the world which is so steeped in history and culture means we often take this for granted. So, before the summer is gone, here is a romantic view of the many wonders of small towns in Germany to entice you to get out more and explore. Lorelei, an American expat based in Regensburg, is here to tell us why we should visit Germany’s more off-the-beaten-path destinations for some hidden gems. Take it away Lorelei! Every traveler is familiar with Frankfurt, Berlin, or Munich and has a listicle of the “Top 10 Things To Do” in each of those cities. Nothing original: Instagram is loaded with many of the same iconic places, just a different angle. Cities can often be overcrowded, expensive and noisy, with people employed in the service industry who are burnt out on tourists, dealing day in and day out with one group after another. But head out beyond the tourist magnet cities and you’ll find the complete opposite. “Small town charm” isn’t just a saying, but a real thing. With small towns in Germany, you’ll find charm oozing from every street, every building, and every café! So why should you visit? Remember reading Cinderella, Beauty and the Beast or Sleeping Beauty and wishing those fairy tale towns were real? Yeah, me too. It wasn’t until I moved to Germany and started visiting the picturesque half-timbered towns and skipping the larger cities altogether that I discovered they really were real. 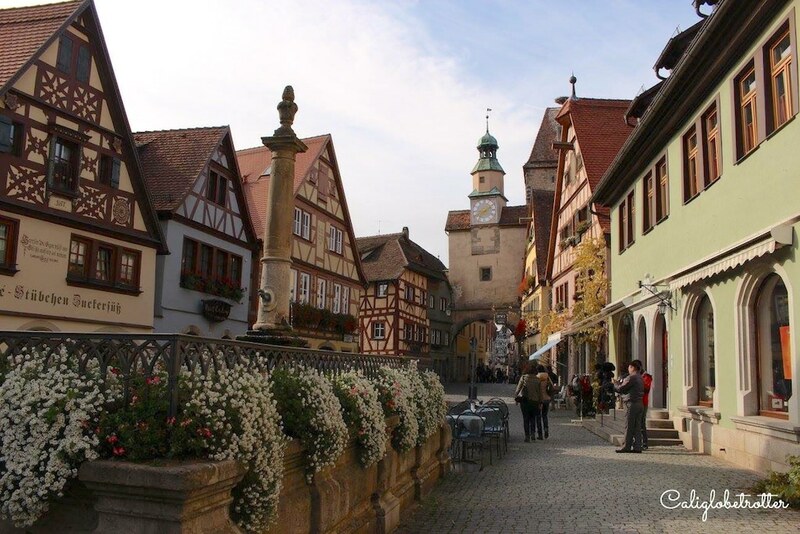 After visiting Rothenburg ob der Tauber, walking down one charming lane after another, lined with half-timber framed houses, with a filigree of sparkle, I was bursting to sing the opening scene of Beauty and the Beast. I soon began channeling my inner princess. In the bigger cities, you don’t get the same feeling that you’re walking through history, as many of the original buildings have been replaced by larger, taller, bigger and more modern structures. The bones of the building might date back 800 years, but the outside looks new. Head to the small towns in Germany, for example, Quedlinburg or Monschau and you’ll feel like you’re walking through history. It seems nothing has changed in the last 800 years. Not only can you feel the history, but you can smell the history and you have to wonder how many lives and how many stories have these small towns witnessed. Sometimes, I feel like I can imagine life as it once was, with people pushing carts and selling their goods in the main market. The reality between then or now begins to blur when you see a romantic horse drawn carriage galloping through town. Many larger cities were destroyed in bombing raids during the Second World War, with many irreplaceable buildings being lost forever. While many German cities have had their old town partially rebuilt to their former glory, not every building was saved. Not in the small towns. 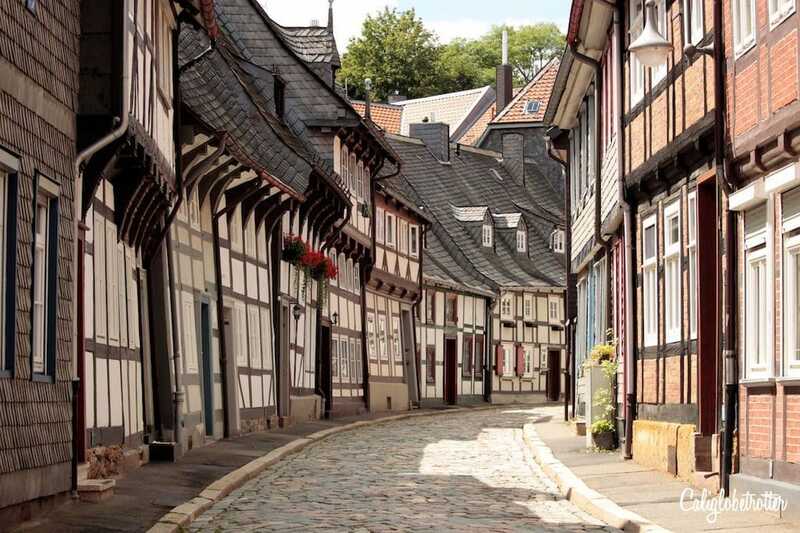 Most of the small, half-timbered towns received little to no war damage, therefore completely preserving the towns. Little has changed since the towns were built and much is exactly the same as it was hundreds of years ago. So much so, you often won’t even find a McDonald’s or a Starbucks. Instead you’ll find locally produced food, homemade goods and some of the oldest buildings in the country. Take Wernigerode, Michelstadt or Heppenheim for example. Not only are the lanes upon lanes of winding cobbled stoned roads lined with half-timbered houses cuteness on steroids, but the Rathäuser (City Halls) are absolutely mind-blowing! Imagining life during the medieval ages doesn’t seem so hard anymore and suddenly history seems more interesting. You can finally understand why the market square was the gathering point, the life and soul of the town as the town clock strikes a beautiful chime, and perhaps, like in Goslar, might even display a small Glockenspiel (Chime play) telling the town’s story. Yes, you could go to Schloss Neuschwanstein like everyone else, but there are a plethora of other castles equally magical to visit. Perched above the half-timbered town of Cochem, you’ll find the Reichsburg Castle which serves a Knight’s meal every Friday and Saturday evening fit for a king! In Wernigerode, the Wernigerode Castle watches over the town and can be reached with an adorable ride on the Schlossbahn (Castle train). 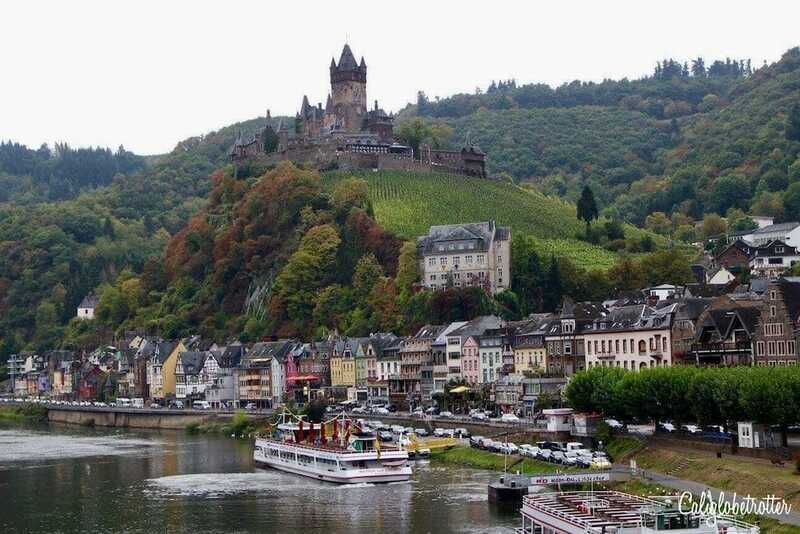 Along the Rhine, not only will you find quite possibly some of the most charming towns, such as Oberwesel and Bacharach, but a plethora of castles lining the river, leaving you with plenty to see. Head to one of the main cities in Germany and you’re likely to run into a few unpleasant people, from either a waiter who has had enough of the endless stream of tourists to your everyday city slicker who shoves his way past in a hurry. Tourists are often blind to any other destination in the country that they’ve never heard of. Most of these small towns don’t see nearly the number of tourists they definitely deserve. It’s quiet and peaceful in small towns like Idstein or Blaubeuren, practically unheard of to anyone beyond 50km away. Which is an absolute shame because here you’ll find peaceful streets to meander at your own leisure, allowing you the time to truly take in your surroundings without having to wait for someone to get out of the way. Here you will find locals surprised to encounter an English speaker or someone taking pictures. You might even feel a little weird taking pictures when it looks and feels like you’re the only tourist in the whole town. Some even get excited to have a tourist exploring their town and even more proud that you have written a blog about their home. You’ll be sharing stories and pictures of a place few have only heard of, that many have only dreamed of. Cities on the tourist trail milk visitors for every penny because they know people will pay for the experience, or they are too naive to look beyond the main tourist sites. Small towns pick up where larger cities left off. They give tours through the town loaded with history that you can learn at a leisurely pace. There’s no rushing through the tour just to get back and do another tour. Here the stories are endless and learning about the myths and legends are equally as vital to one’s visit as eating the best ice cream in town or finding that perfect view to post on Instagram. Take Quedlinburg, Wernigerode or Goslar for example. Located in the Harz region, the towns are engulfed in myths and legends of witches and warlocks gallivanting up at the Brocken which made the history that much more fascinating. Here, you won’t feel short-changed for that guided tour that rushed through the history in under an hour. There is no waiting in long lines, wasting precious time. There are no loud tourists ruining a beautiful moment. 8. Quaint Towns Are More Relaxing & Revitalizing! The hustle & bustle of big cities can be stressful and leave you feeling exhausted if you’re on holiday or taking a day trip. 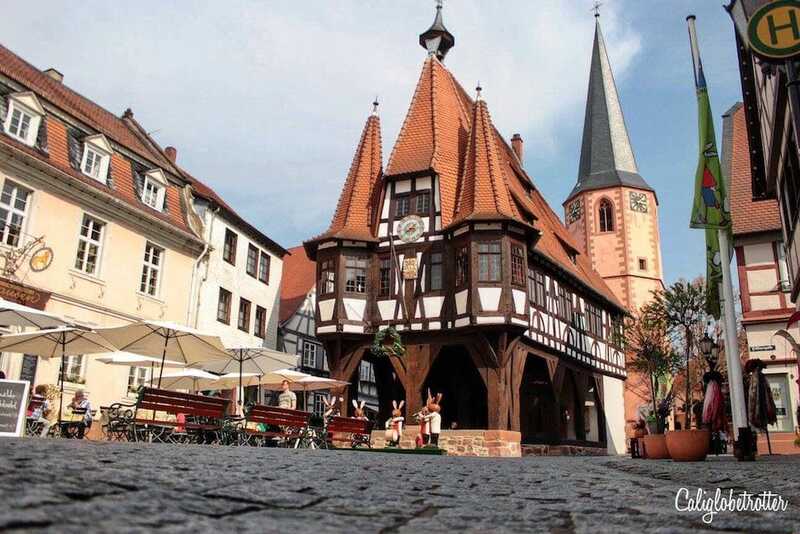 Head to any half-timbered town and you’ll be able to sit back and enjoy your day trip or short break at a leisurely pace. Stop for an Eis and enjoy the view of the Rathaus and Markt in peaceful bliss while people watching. Or perhaps it’s the overall general feeling that time moves slower here as you casually watch a lady buy some flowers from the local flower shop who reminds you of your grandma. Along the German Timber Frame Road (Deutsches Fachwerkstraße), you’ll find 98 half-timbered towns, with many more to explore off the main route, each one more exciting and romantic than the last. 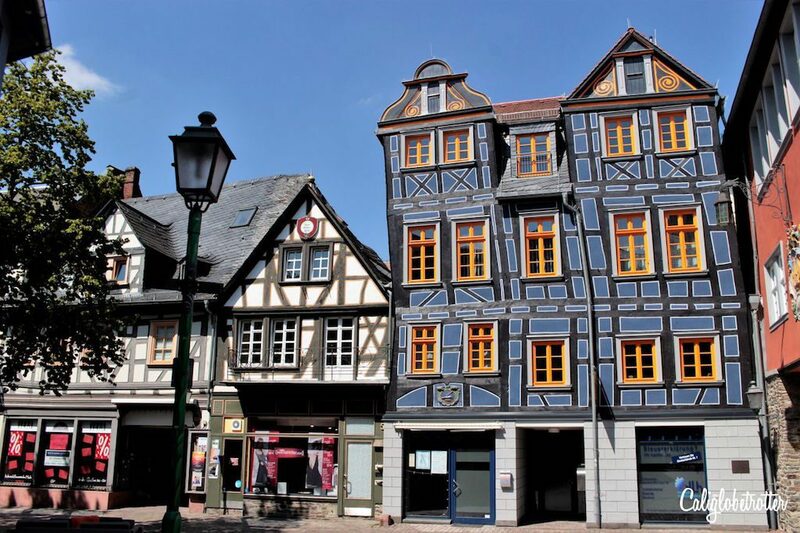 Each one has a slightly different style of colorful timber framed houses with exquisite wood carvings. Each one has its own romantic story to tell of princes who loved princesses, myths and legends, or a few gargoyles to ward off any demons and ghosts, along with a few famous small town heroes. Each town tells a different story from a Disney storybook giving us a glimpse into the past of what life must have been like. From any large city in Germany, you are within an easy reach of a unique half-timbered town. While you could visit the most iconic fairy tale town ever, Rothenburg ob der Tauber is now over-crowded with millions of tourists every year. There are far more other equally romantic towns to visit. 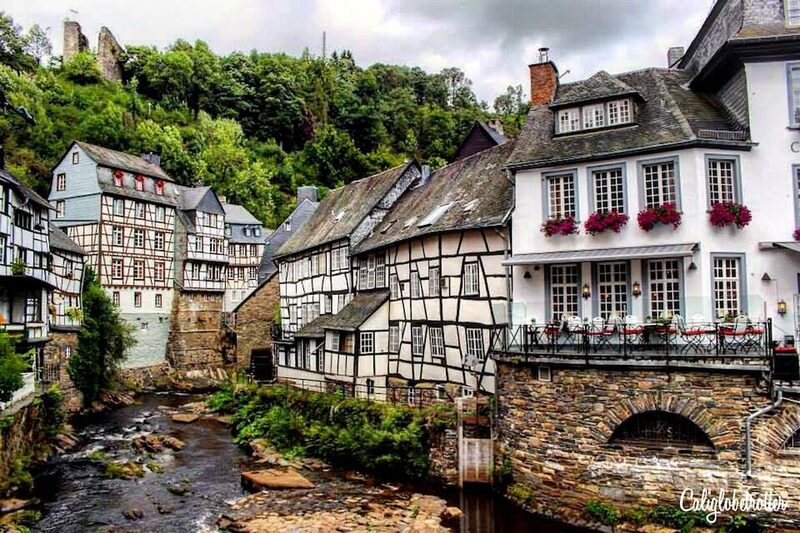 From Cologne & Bonn, you’re only an hour away from Monschau. 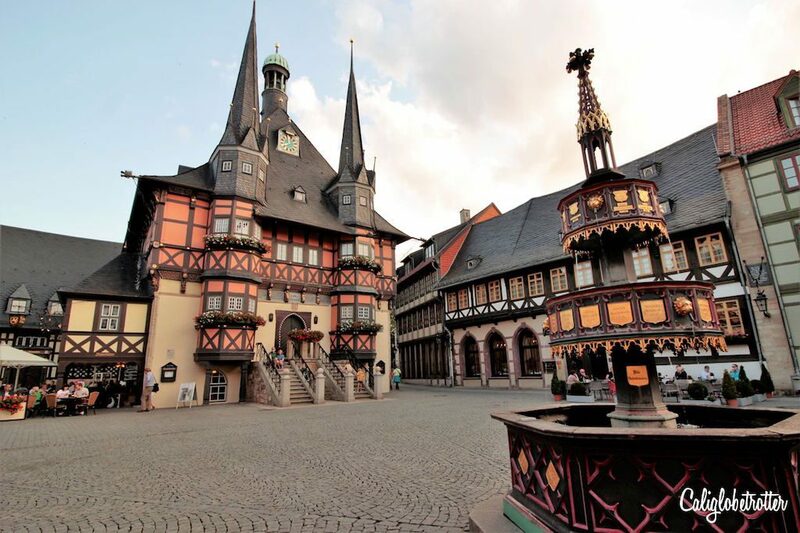 From Berlin or Hanover, you’re within easy reach of MANY half-timbered towns in the Harz, with the most beloved, Quedlinburg, Wernigerode and Goslar all twenty minutes apart from each other. 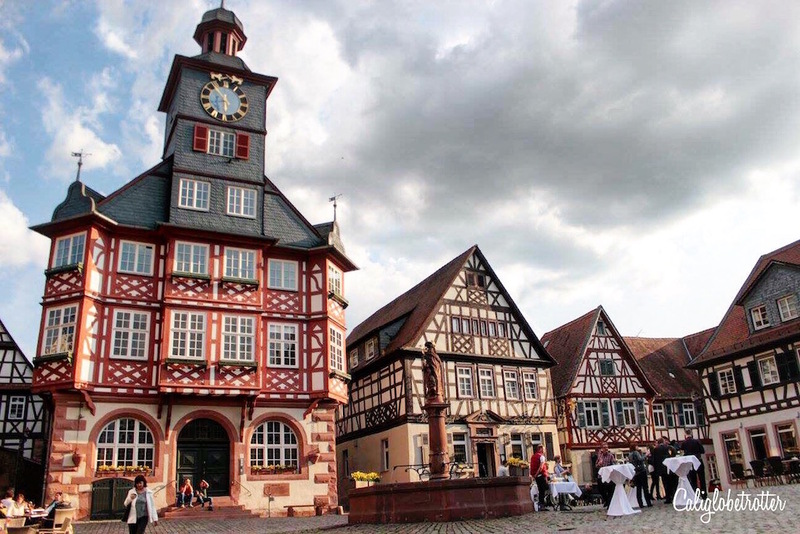 Just over half an hour away from Frankfurt, you can find one of the most adorable half-timbered towns ever – Idstein. Just outside of Stuttgart, you’ll find the charming town of Esslingen or an hour away is the small town of Blaubeuren. Instead of Munich, consider visiting Bamberg, Dinkelsbühl or Nördlingen. From any major city in Germany, you are within a short distance from an adorable town, and you probably didn’t even know it! Many you won’t even find in the pages of a travel guide, and if you do, you’ll be lucky if it’s more than a few sentences, therefore, forever preserving their hidden charms. Just because you won’t find them in a travel guide doesn’t mean they aren’t worthy of visiting. If anything, that makes them even more enchanting. Visiting the smaller towns is a great way to get off the beaten track and truly learn about the history of Germany and its people. There is nothing fake here or exaggerated in order to sucker a tourist into opening their wallets. Everything here is still authentic and are simply waiting for someone to come who will truly appreciate everything the town has to offer. It’s worth visiting any small town simply for the fact that there are towns struggling to win the attention and affection of travelers. 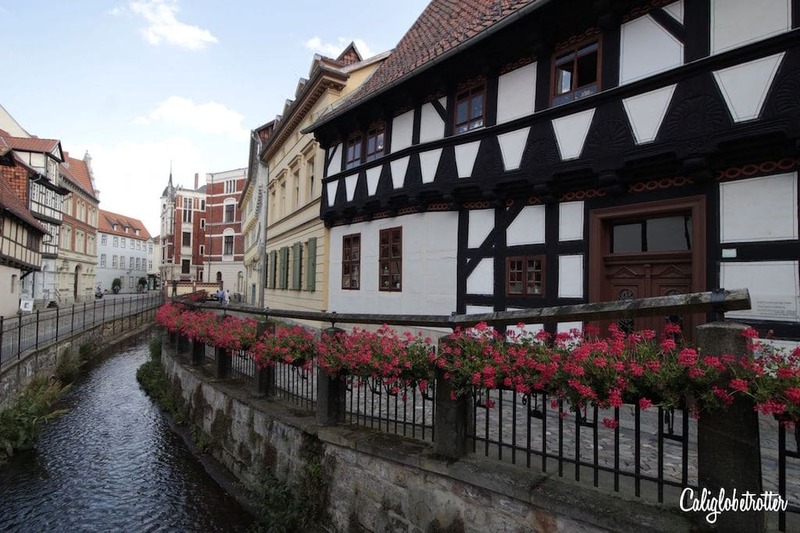 So forget the cities and head to the charming towns in Germany for your next weekend away! Lorelei is an American expat who moved to Germany in 2012 and is the author of California Globetrotter. Since then, she has been traveling around Germany discovering the best kept secrets. 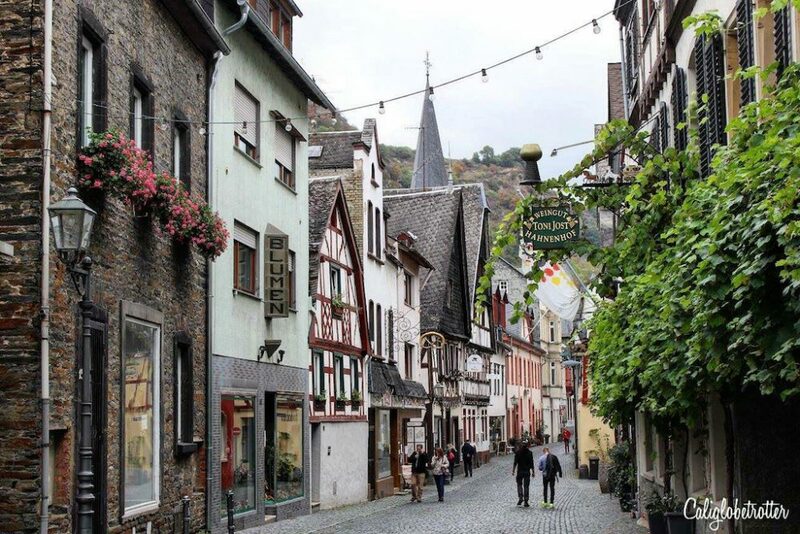 She has a serious addiction to adorable half-timbered towns and castles beyond the typical touristy destinations. To discover more charming, wanderlusty towns, you can follow her on Facebook, Instagram or Pinterest! If I want to visit one small town after another without having to go to big cities, is it better to drive or take the train? It’s definitely possible to take the train but it is much slower than having your own wheels. Having the convenience of the car means you don’t have to worry about changing trains or waiting around for connections. Factor in all the costs and then make your own choice!